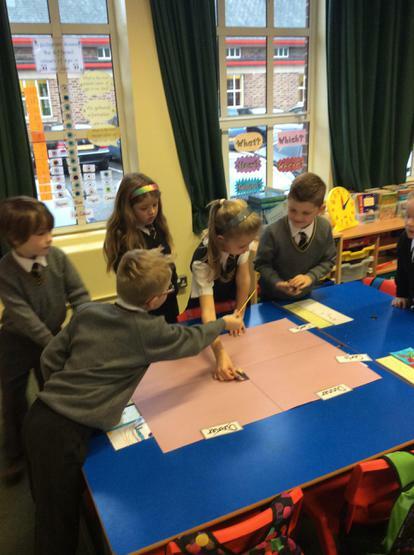 Alex explaining how P4G sorted their Carroll diagrams. 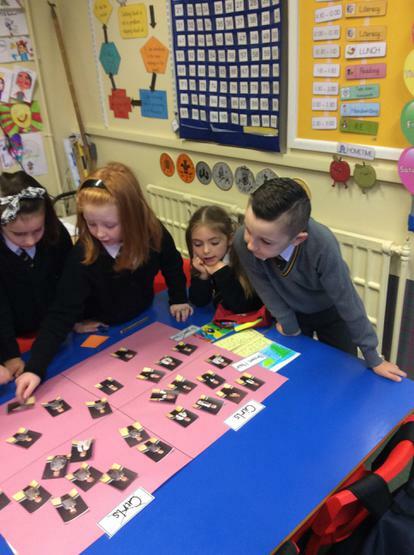 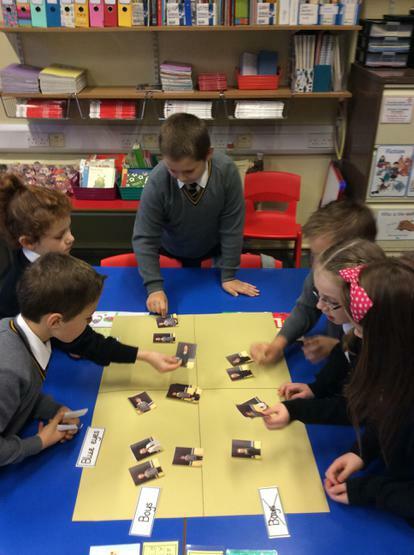 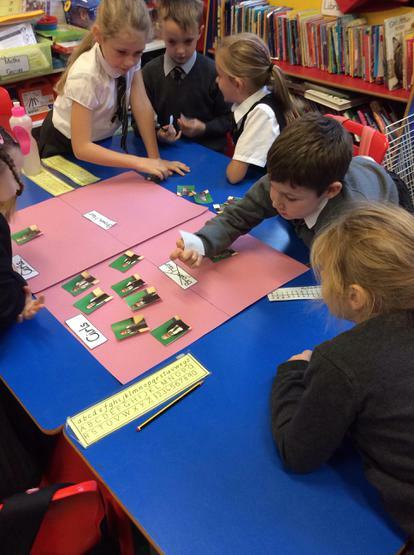 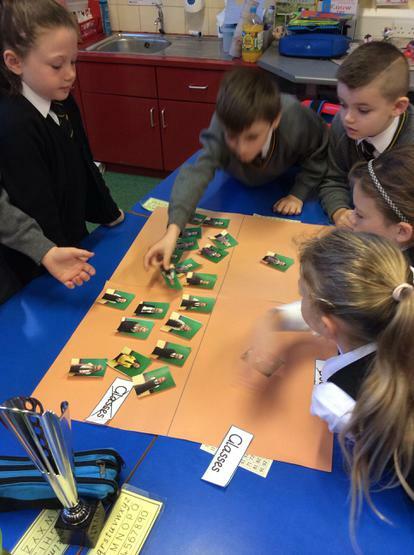 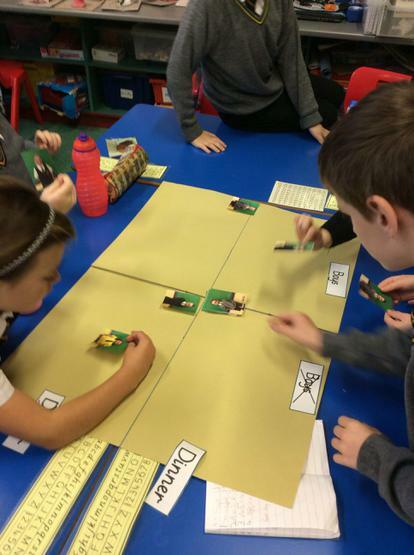 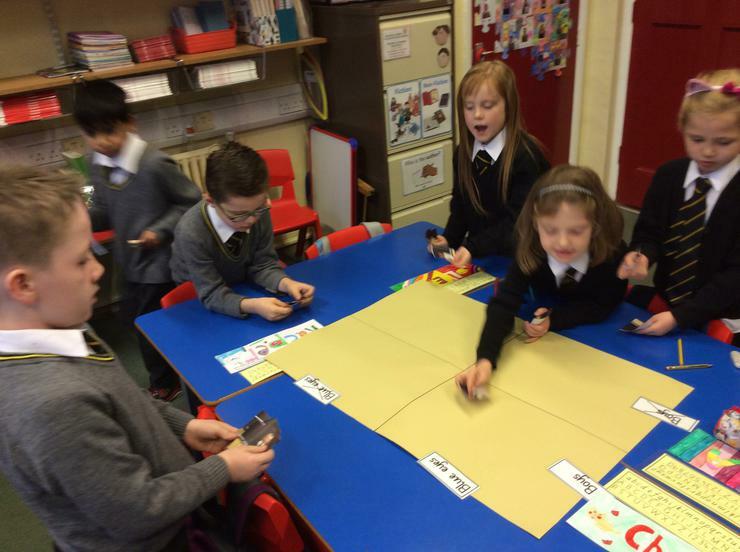 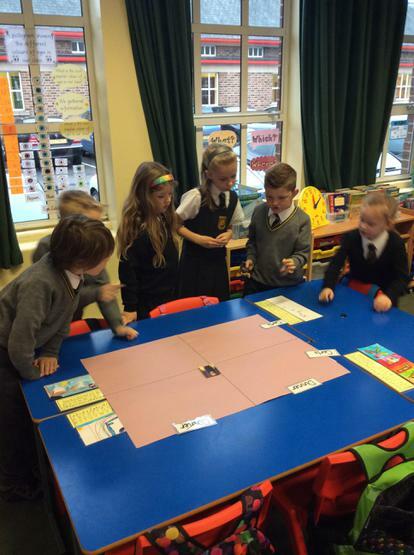 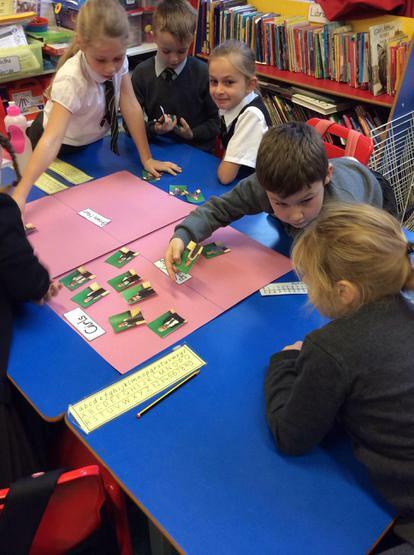 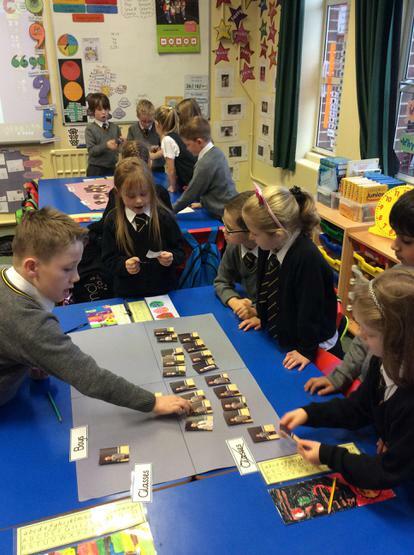 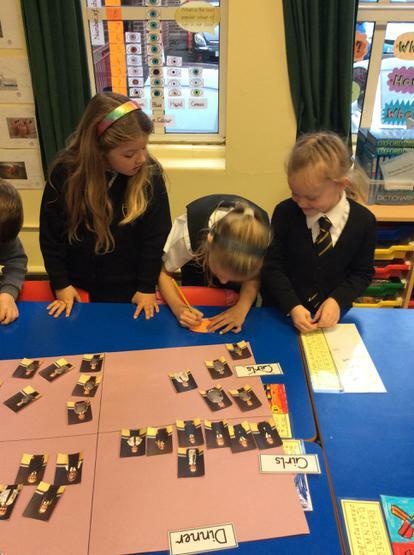 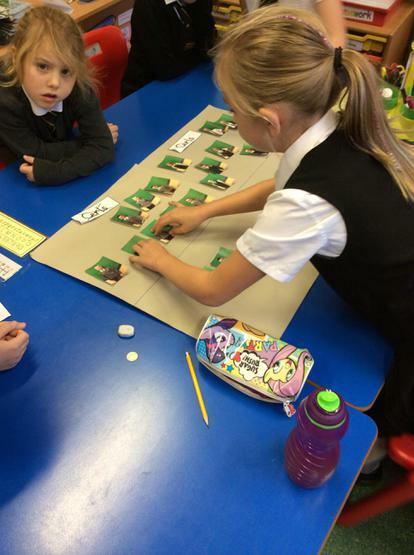 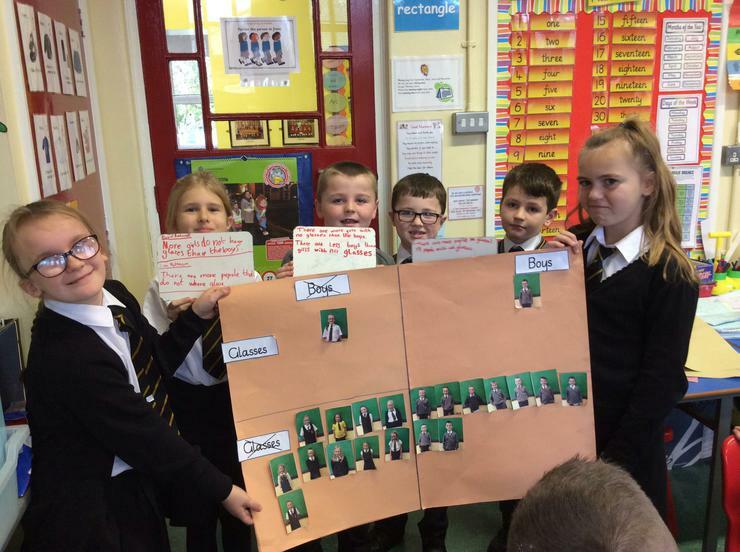 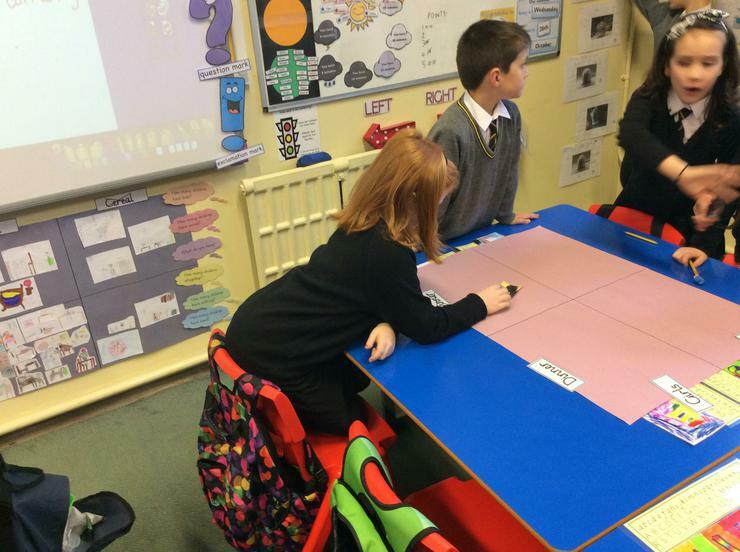 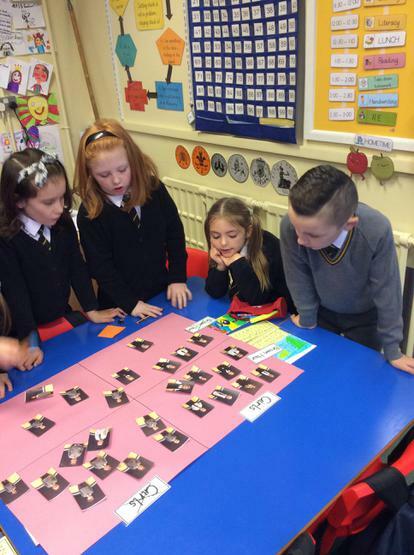 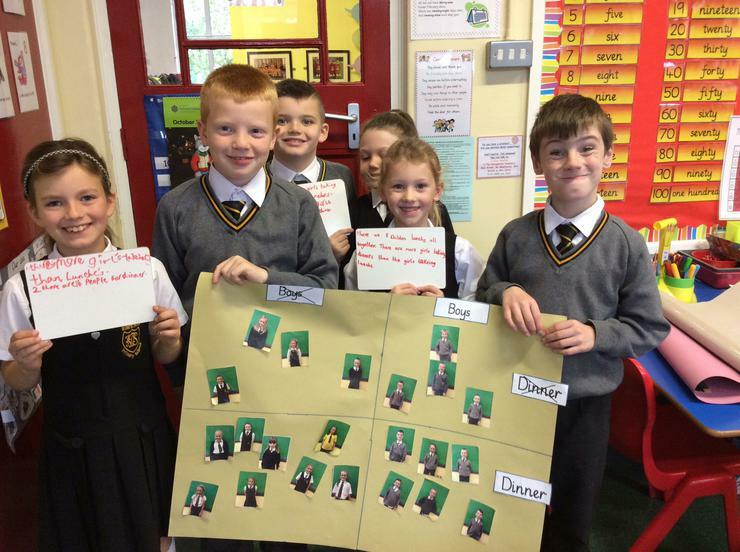 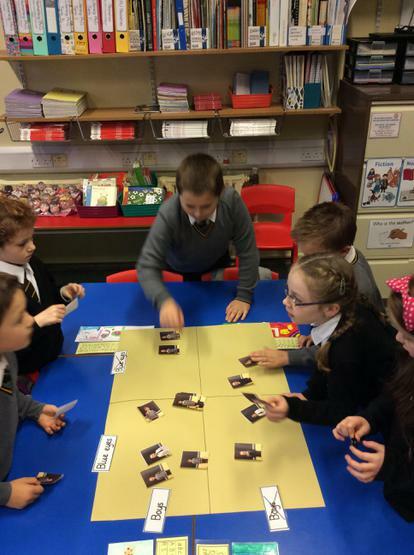 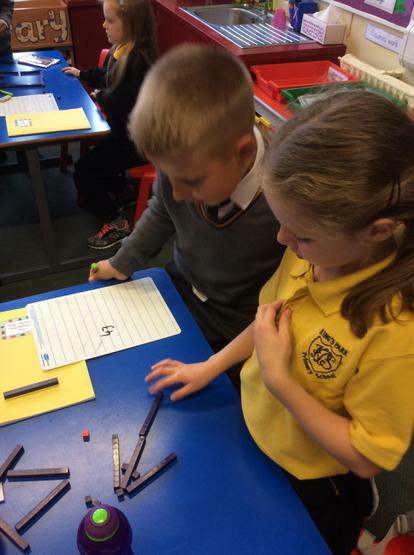 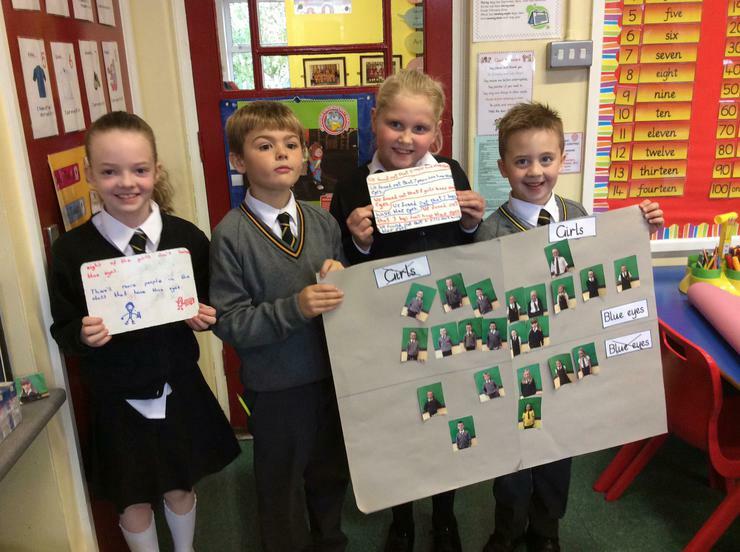 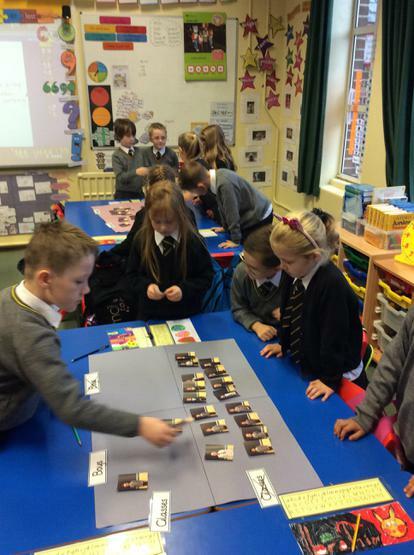 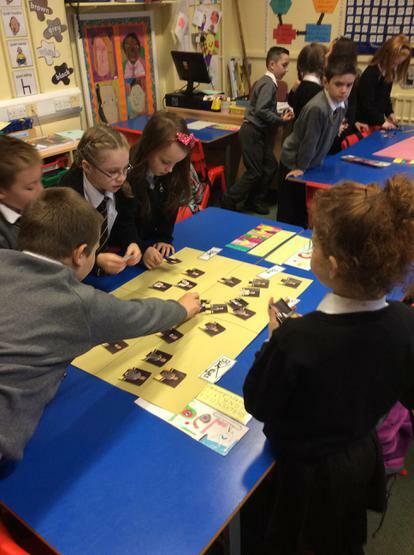 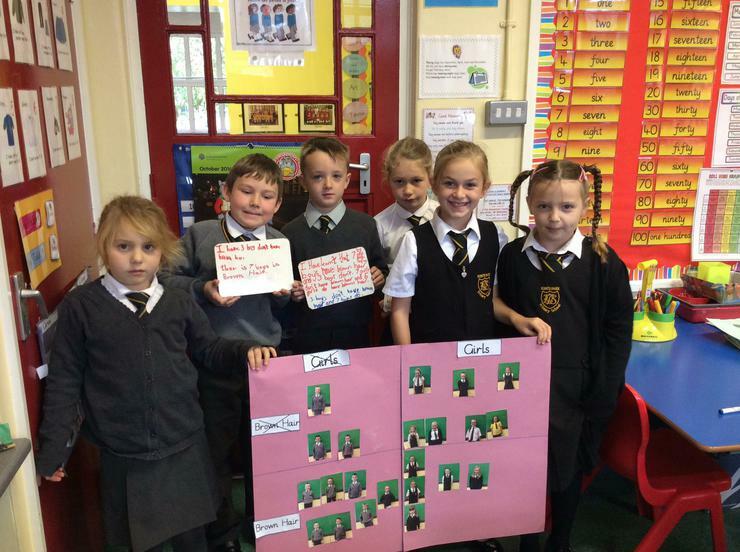 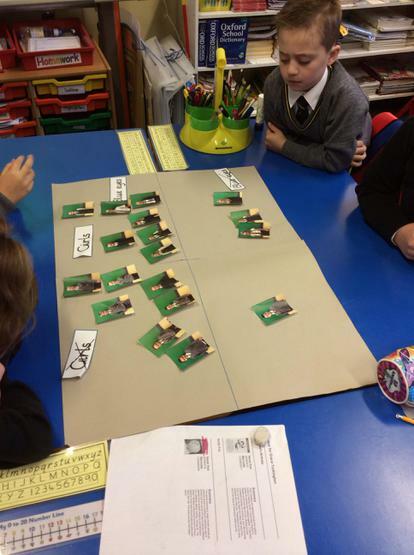 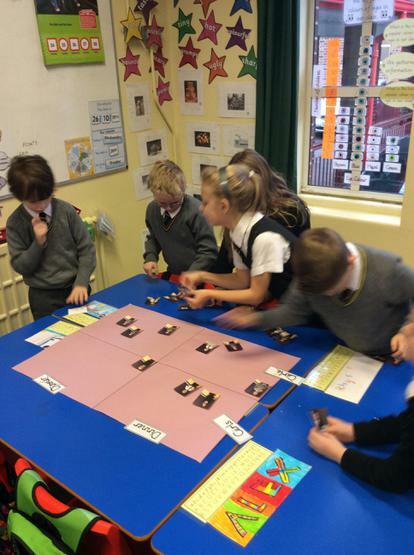 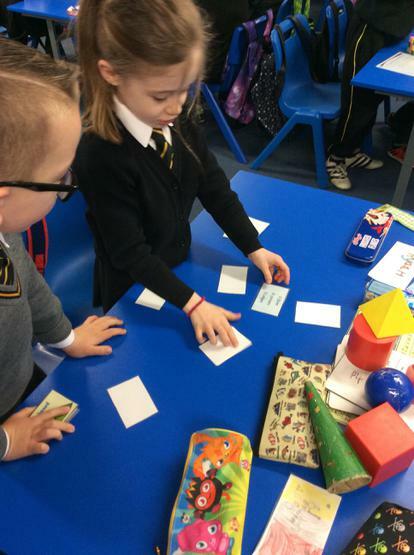 P4G used Carroll Diagrams to sort the children in the class into different groups. 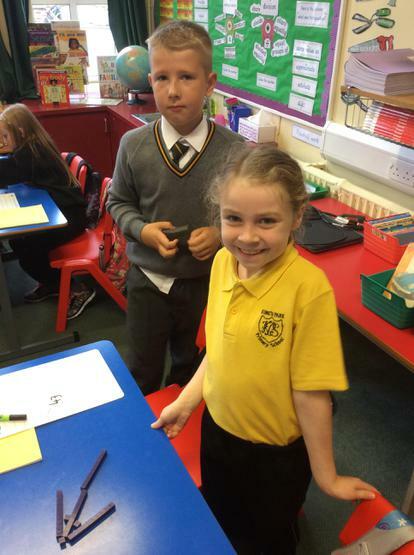 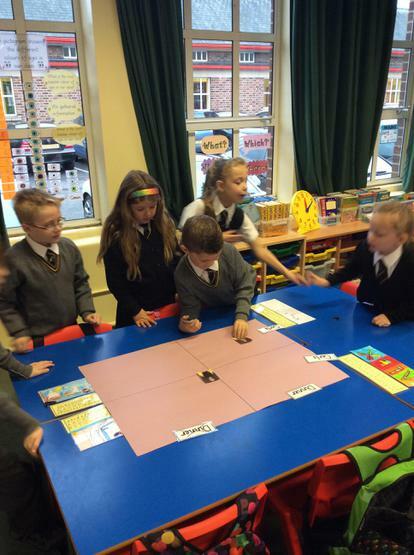 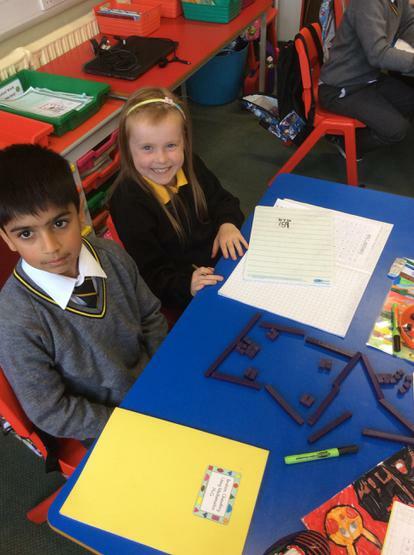 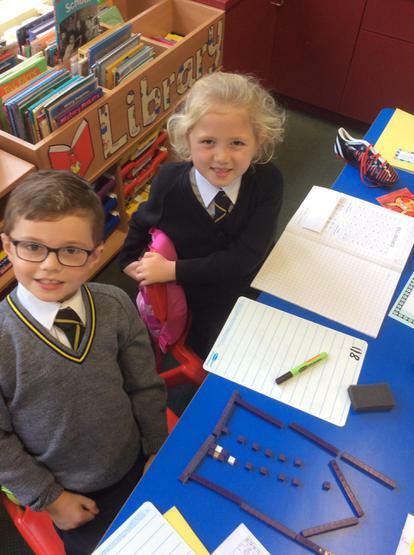 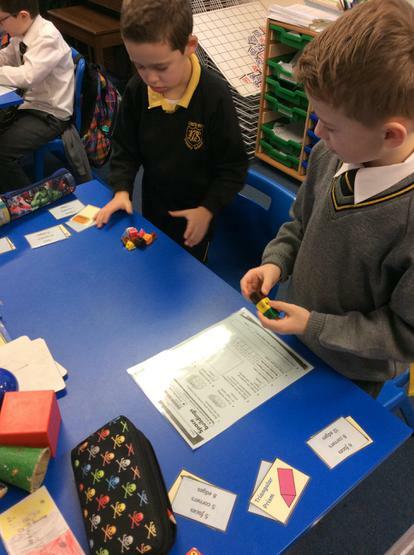 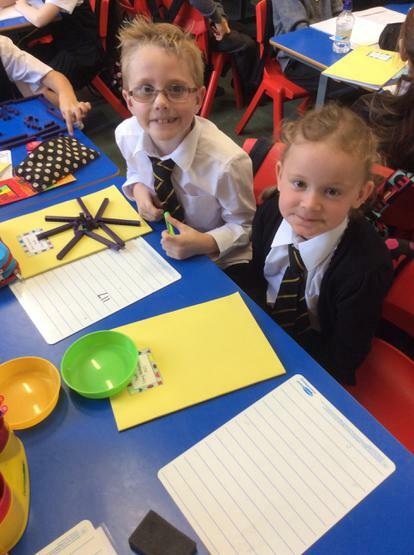 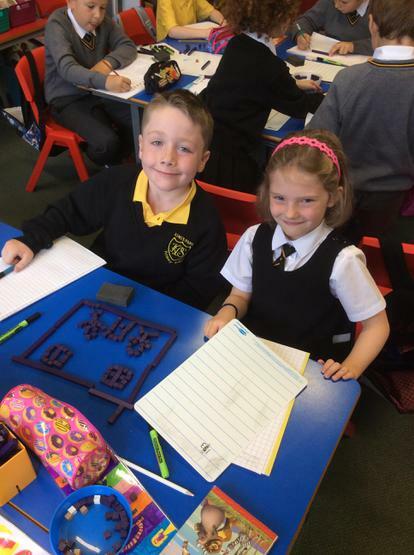 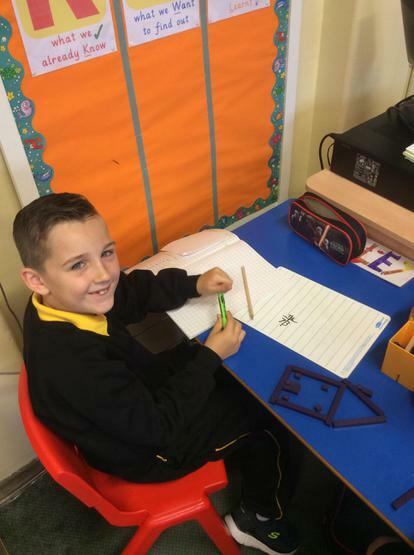 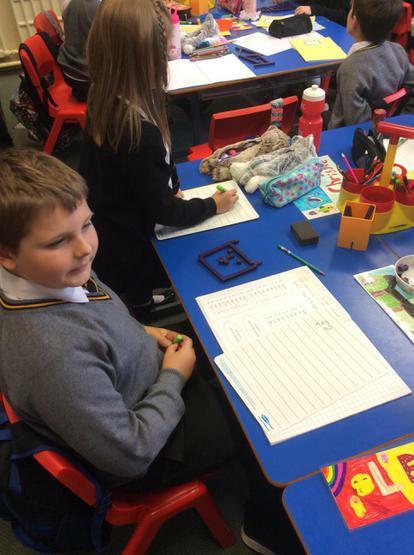 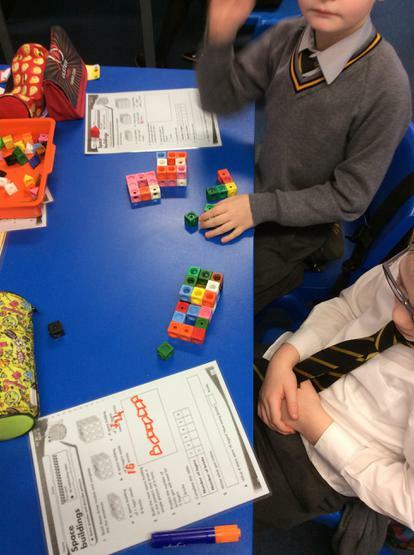 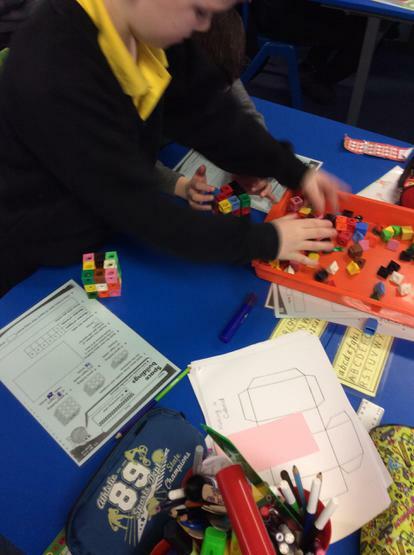 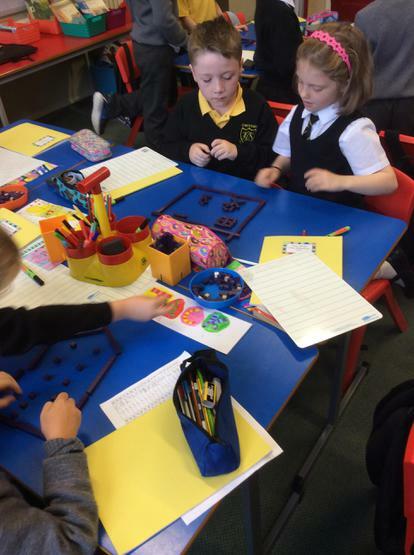 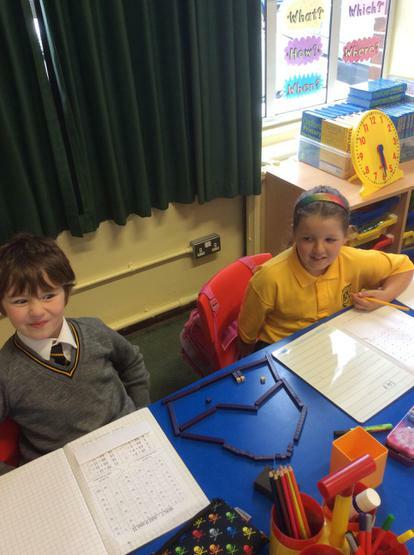 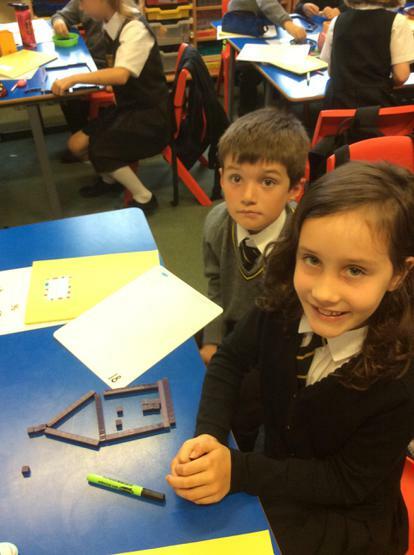 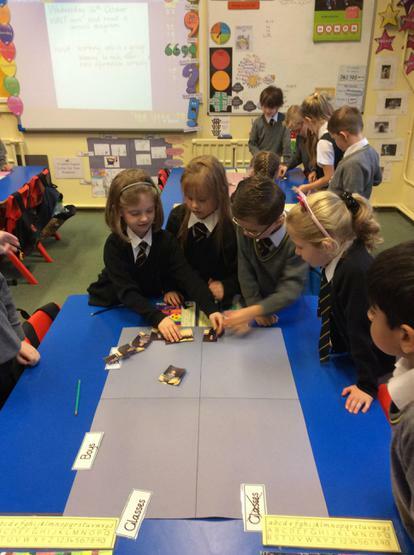 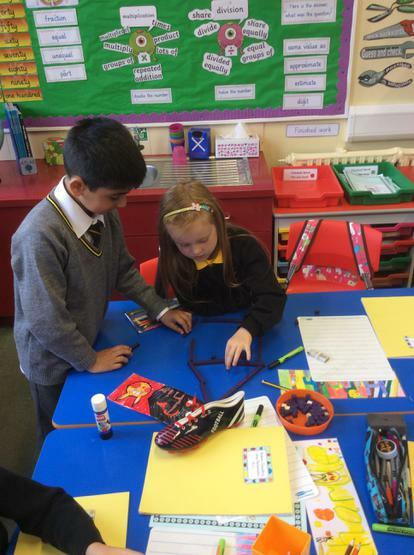 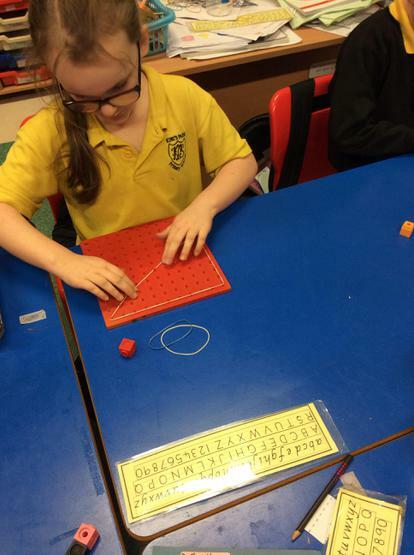 P4McS were investigating 3D shape. 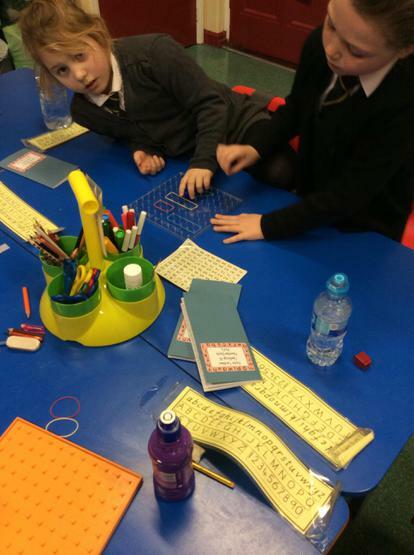 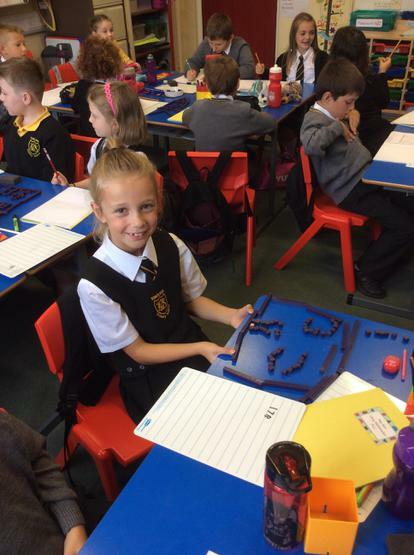 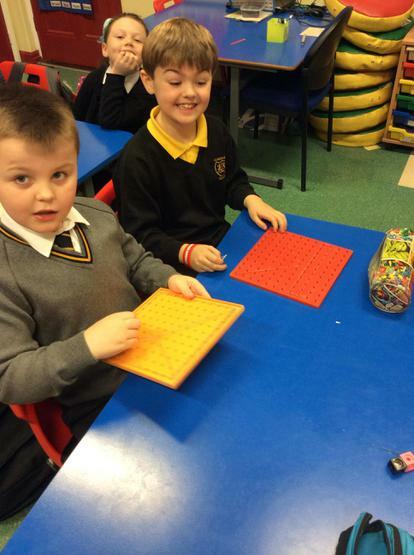 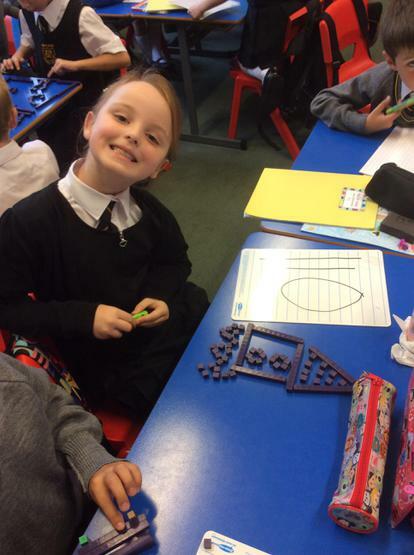 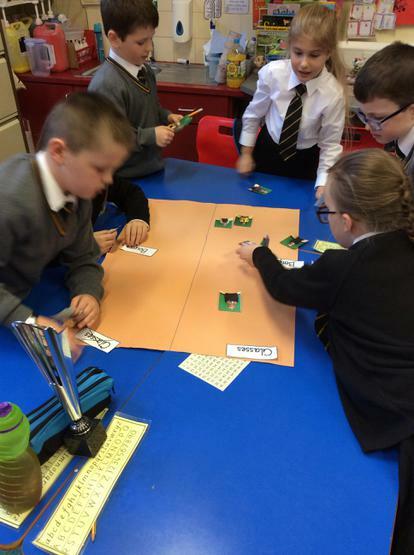 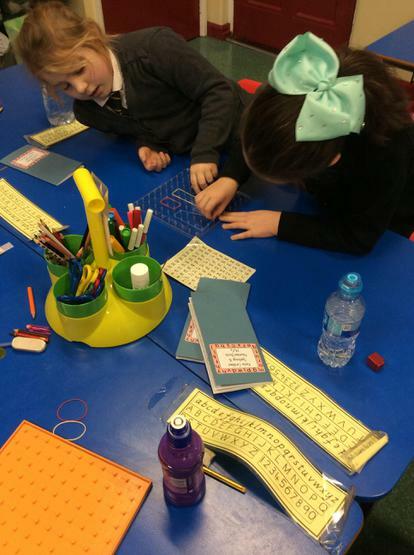 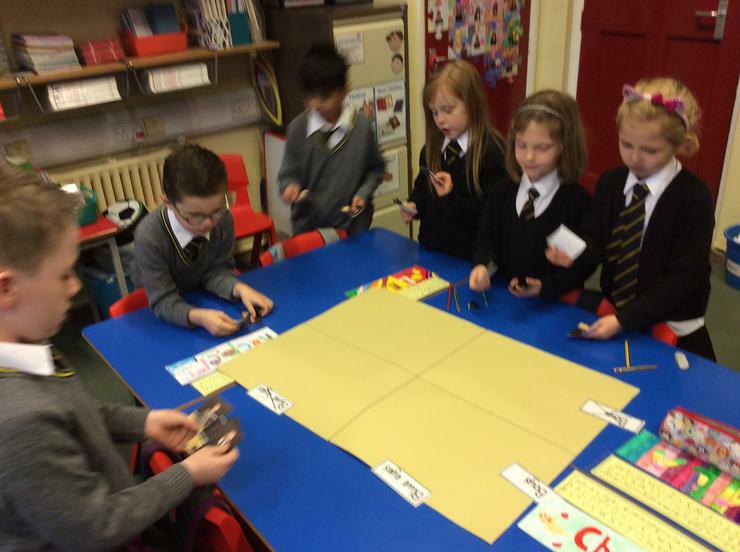 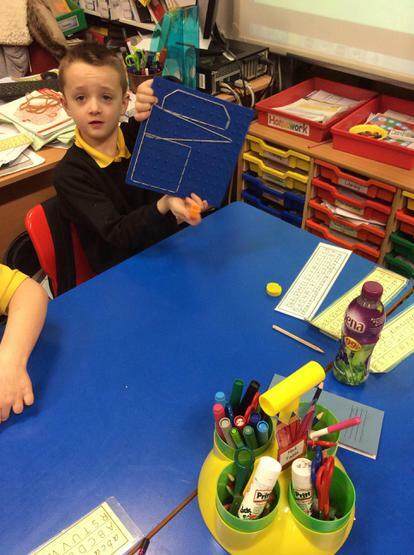 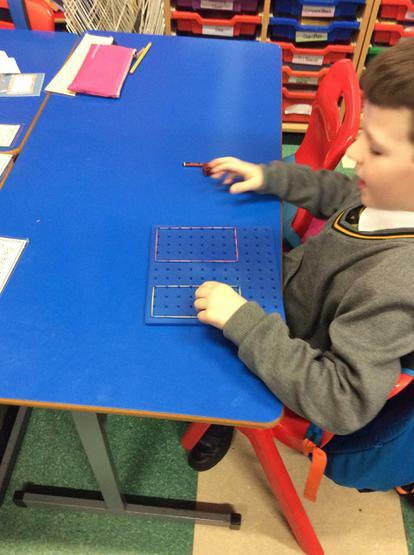 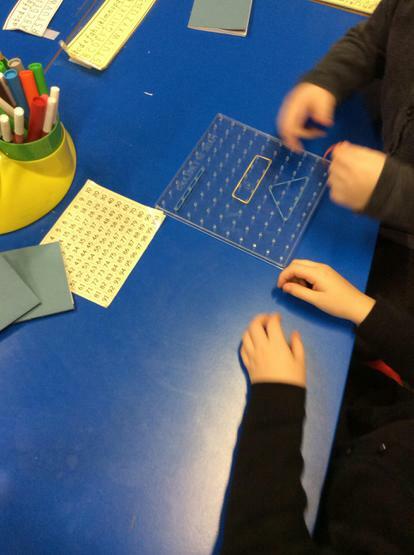 P4D were using pin boards to make shapes and investigate right angles. 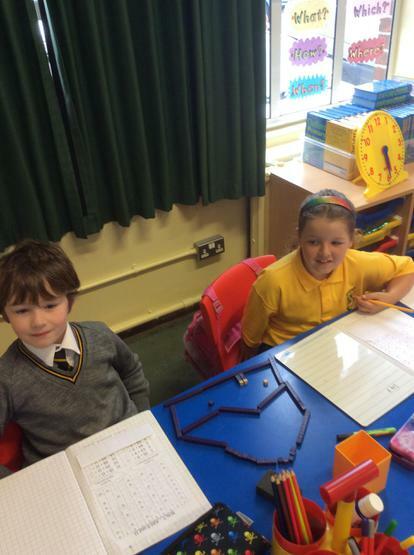 P4D were learning about Carroll diagrams. 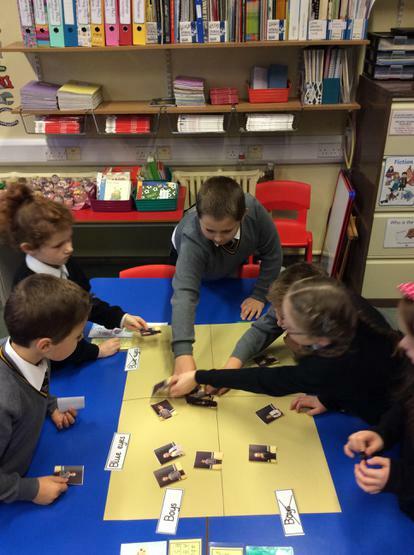 We worked together to sort our pictures. 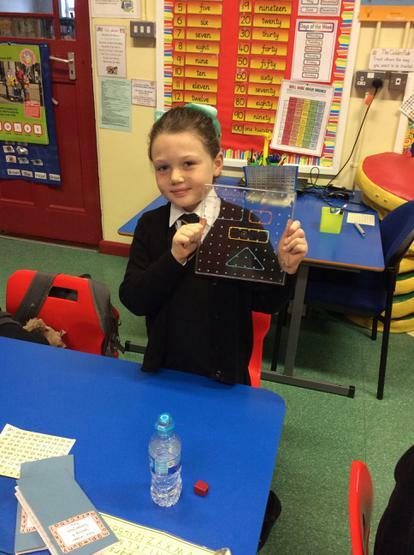 P4G made hundreds, tens and units pictures. 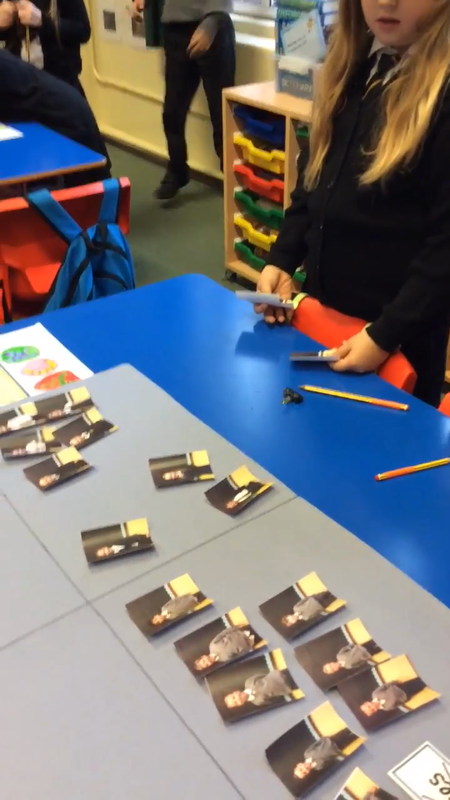 We had to count the total of our picture.